Inspired by two of Shane’s posts yesterday, I decided to run a little rest and see how 8 random domains that were sold on NameJet for over $2000 compared to their appraisal value on Estibot. For the record I don’t really put any stock into domain appraisals and don’t care about them for the most part. I think Shane’s graph is right for the most part and beyond someone making themselves feel better about buying a domain for more than they wanted to pay or keeping a domain when they should probably drop, I’m not sure that appraisals are really that useful. But with that said, everyone has gone to Estibot or Valuate at some point. So, without further ado, here are my two disclaimers before I list the results, without further ado. ***Disclaimer #1: Neither I nor Shane endorse any type of domain appraisal service such as Estibot, Valuate, or God forbid a paid service. Using a domain appraisal service to put a real value on a domain should be done so with caution…or just not done, lets go with that. ***Disclaimer #2: I’m sure that some domain blogger somewhere and at some point in time has done this before. If it’s you that did it, I apologize but I probably don’t read your blog. If I do read your blog then I missed that day. I don’t need to hear about how I stole this idea from a Morgan Linton June of ’09 post. Alright, so these are 8 random domains I chose from the list of NameJet domains Shane posted yesterday. The format is pretty self-explanatory. So, what can we make from this? Well, not a whole lot. Some of the appraisals are well above the selling mark, some are well below, some are just about right. The appraisals that are produced by Estibot, Valuate (yes I realize they’re the same thing), and others are all calculated based on some algorithm based on traffic, searches, PPC potential, etc. But, the one thing they can’t calculate is a GOOD IDEA, and sometimes that’s all it takes to make a domain name really valuable. Estibot has FoodForThought.com at $110 but I think we can all figure out that FoodForThought.com would make an excellent and marketable food blog or website. Clearly several bidders saw this potential too as the domain sold for almost $9K. 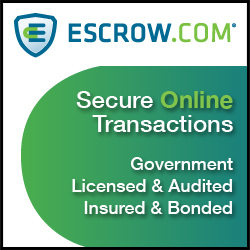 As long there is someone out there willing to spend quality money for a marketable domain for their company, a start-up, etc… a domain will always be worth what someone is willing to pay and never what a computer can only guess at. That is what makes domaining an investment game why there will always be money to be made in the future. I was surprised at the realized price FoodForThought.com. I was involved in this auction, but the price quickly went beyond my budget. Instead, I had to settle for hand regging food-forthought.com. Oh, what a difference a hyphen makes! 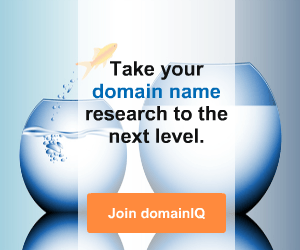 Not the best domain (or domainer’s domain), but as an end user, I was more interested in the term. If you do analytics on the term “Food for Thought,” you will see that it’s a well-searched term and popular term. 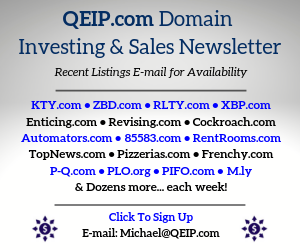 I guess the bottom line is: a domain is worth what a buyer is willing to pay. I do a lot of work with a custom set of proprietary algorithms to look at names (and in a way so does everyone, at least mentally, when they look at drop lists) and I have to say I’m actually very, very impressed by that correlation – the problem with this experiment is that these names sold (and not just sold, but sold for over $2K). Unfortunately the sample group is biased and it’s, as Ms Domainer states, the willingness to buy a name that can’t be estimated by machine. Once you’ve got a potential buyer – those estimated values really aren’t a bad match at all. Until you do, your name is worth whatever more than reg-fee costs per year it makes in ads/parking/monetisation…..
And if it doesn’t pay for itself then it’s valuation is that pure human input of “potential”…. Appraisals are one thing, sale prices are another. Rarely names sell for their appraisal value and more when there is a huge factor that may totally influate price: “Circumtances”! 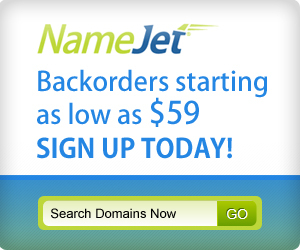 Keep in mind that many of those sales at Namejet were to other domainers. 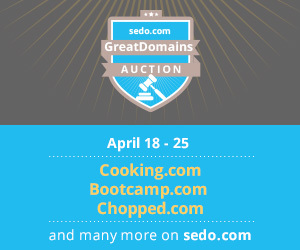 The end user “retail” price for many of these domains would be much higher. 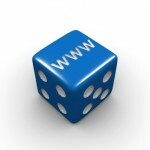 So, your sample of domain sales is not necessarily representative of what domains usually sell for.